Doesn't every grandma need one of these? What do you call your Grammy? 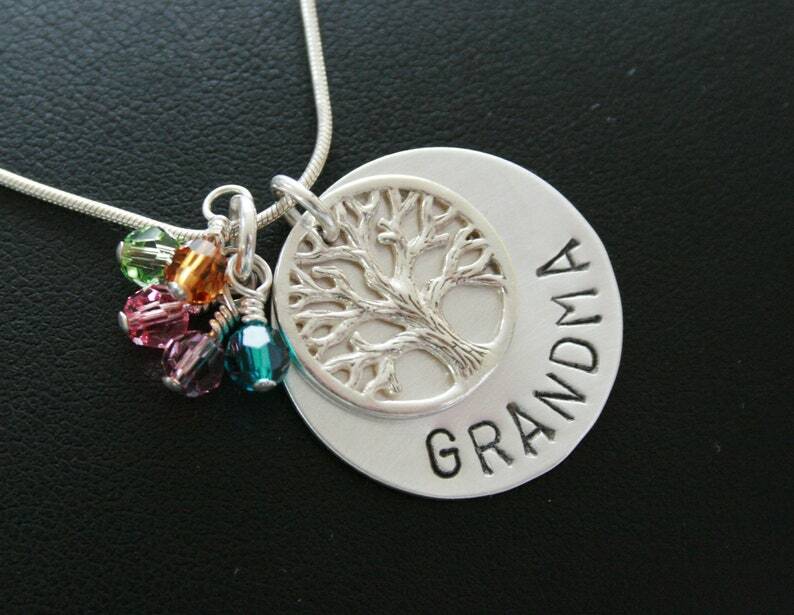 This listing is for one sterling silver disc hand stamped with Grandma, Nana, Gma or Oma, etc., tree of life charm..and the chain.